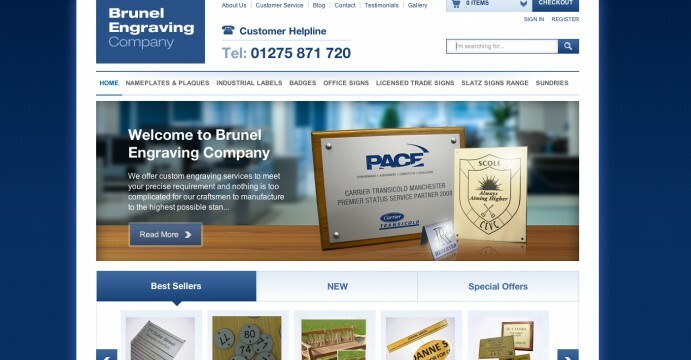 Brunel Engraving are pleased to announce the redesign and launch of our commercial engraving website. With many more new products, features and capabilities, such as our memorial and commemorative plaque section, we are sure the new website will be a breeze for finding the right item for anyone's engraving needs. Our ordering process ensures accessibility and ease at all times with our new account system. It is now much easier to keep a track of your order and to see it process during the duration of the creation stage, all the way until dispatch. The website will be updated with blogs, keeping you the customer up to date with the latest offers and news regarding Brunel Engraving Company. Multiple images now available for viewing our high quality products, this gives the customer best idea of how your order may look. Social network intergration is an addition to the website to go alongside our blogs for up to date news and offers. Special offers are also availabe from the our home page, to view please click here.